Here at Convince & Convert, the media side of our business is our fastest-growing segment. In the past year, we’ve launched multiple new podcasts, revamped our email operations, beefed up this blog even more, built the world’s first search engine for podcasts, and we’ve got a lot more planned. 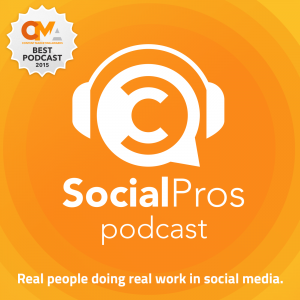 Plus, our oldest podcast – my Social Pros show – just won a Content Marketing Award for best marketing podcast. But now that I find myself running a media company, in addition to a consulting company, there are two questions with which I am consistently faced. And I am using technology from Affinio (one of our sponsors, actually) to help answer those questions. This is some deep, secret sauce stuff. 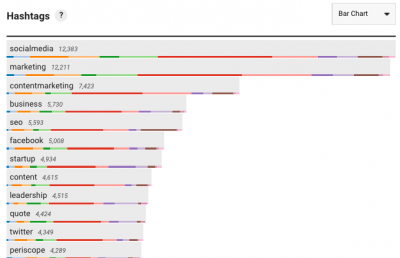 I hope you’ll agree that it’s a very, very interesting use of big data. 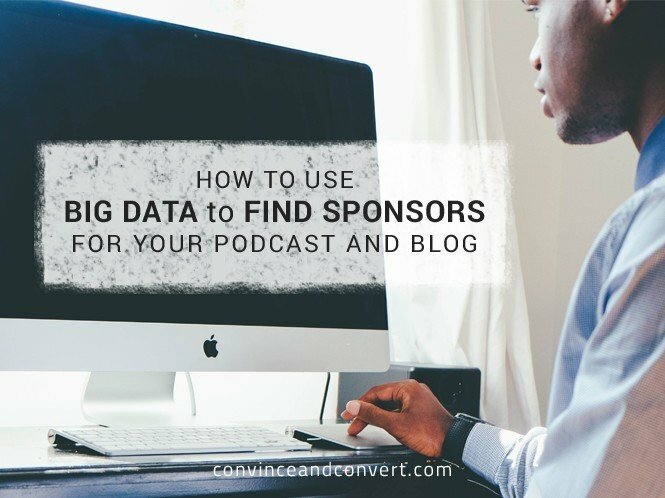 Where Do We Get Our Sponsors at Convince & Convert? This is a key question, of course, because we need sponsor support (thank you!) to pay our team and our freelancers and help us support our podcasts with paid advertising. Certainly, some of our sponsors we have found because we have other relationships with them, in other contexts. For example, Uberflip (which makes killer content hubs, like this one) is a sponsor of our Content Pros podcast. Their CEO, Randy Frisch, is a co-host of that show. We know them because I am a proud investor in the company. So that kind of thing happens. We also meet potential sponsors at events where I am speaking like Content Marketing World, Social Fresh and beyond. Affinio collects and organizes insanely detailed information about your Twitter, Instagram, and Pinterest followers, giving you all-new insight into who these people are, and what they consume online. Running an Affinio report takes just minutes, and full-featured reports are approximately $500 per channel. Audience report from Affinio. Note that Affinio breaks your audience into 14 defined segments (like personas) of like-minded people. Each segment is charted here – and in all reports – for more precise analysis. According to their hashtag usage, their interests are mostly homogenous, and inline with what I talk about on this blog, on my podcasts, and on Twitter. Based on some of these insights, you can better understand your audience and tailor your content to them more successfully. But what about the sponsors? Affinio reports also include detailed analysis of the interests of your audience (either as a whole, or micro-targeted per each of the 14 audience segments). 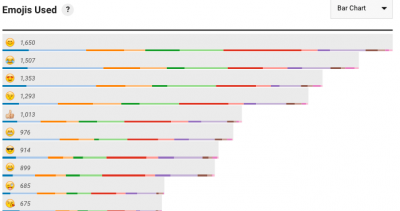 Within that analysis, you’ll find rank-ordered lists of which brands, celebrities, media, website domains, etc. 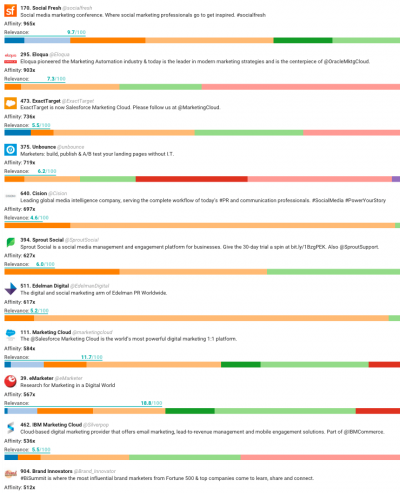 are most actively followed, engaged with, and retweeted by your audience. Bam! Clearly, sponsoring Convince & Convert Media properties is having the desired impact on the affinity of my Twitter audience, as among the top 11 brands, 6 are existing sponsors! 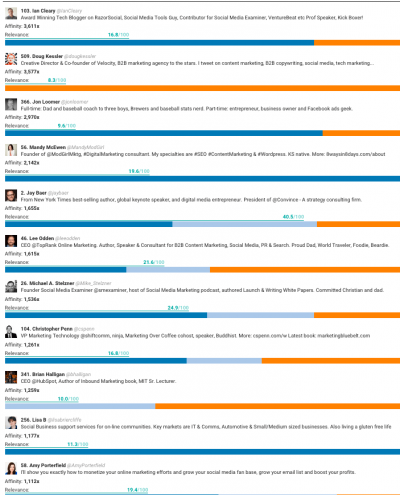 (Social Fresh, Eloqua/Oracle, ExactTarget/Salesforce, Cision, SproutSocial, MarketingCloud/Salesforce). Sponsorship candidates based on this list include Unbounce, Edelman, eMarketer, IBM Marketing Cloud, and Brand Innovators. But this is just the tip of the iceberg. There are dozens of brands in this report. Expect a call from our biz dev team soon! 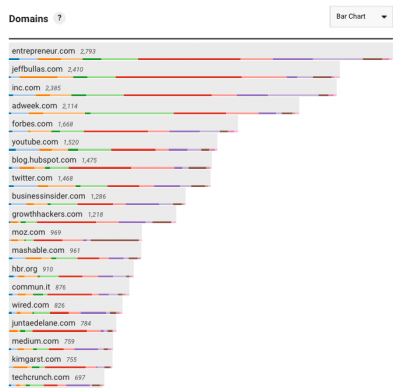 One of the other Affinio reports is the Domains chart that shows how often your audience is tweeting links from particular sites. This is a great way to refine where you purchase ads and where you try to place guest blog posts. Top domains for my Twitter followers include Entrepreneur.com (where I’ve started guest blogging), JeffBullas.com (nice! ), Inc.com (where I have a column), Adweek.com, Forbes.com (where I’ve started guest blogging), Youtube.com, blog.hubspot.com, and more. I’ll be emailing my friend Kim Garst about a guest blog post! You can also click just one button within the platform and create a custom audience that you can use to create a hyper-targeted Twitter ad buy to reach only a particular segment of your audience. Very handy! In addition to the @jaybaer audience, I also used Affinio to analyze everyone on Twitter who has ever tweeted, retweeted, or otherwise engaged with a tweet about my Social Pros podcast. This is both eerily accurate and wholly fascinating. Several people on this list who have been guest on the show in the past (see our full archives here), but just in this first screen-full (again, there are hundreds of people on this list), I see potential podcast guests in Doug Kessler, Mandy McEwen, and Lisa Briercliffe. Re-sorting the list by relevance gives me a different batch of candidates including Jeff Bullas, Juntae DeLane, Jeff Sheehan, and Glen Gilmore. Every time I log-in to this tool I find new uses for it. I’m trying to be as strategic and specific as possible with how we build and run our media company, and Affinio is helping me do it. Nifty stuff, right?